Our best-selling anti-aging moisturizer is clinically proven to restore age 40 skin to firm and luminous. Award-winning formula of copper and collagen-boosting peptides target hormonal skin to plump lines and wrinkles and increase youthful suppleness. · Luxury cream restores age 40 skin to firm & luminous! 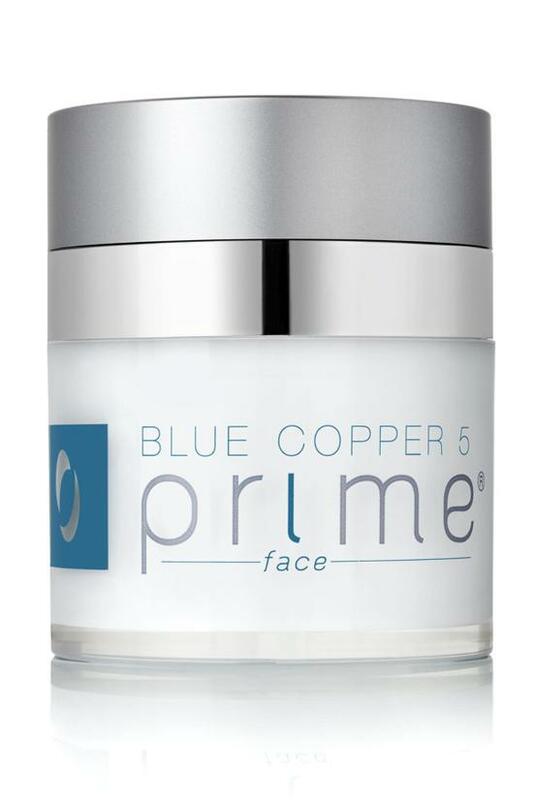 · Part of the award-winning Osmotics' Blue Copper 5 collection! · 0.5 oz. or 1.7 oz. After cleansing, gently smooth over face and throat. May be used morning and/or evening. Store at room temperature away from direct sunlight. Water, Ceteareth-25, Glycerin, Cetyl Alcohol, Behenic Acid, Cholesterol, Ceramide NP, Ceramide NS, Ceramide EOS, Ceramide EOP, Ceramide AP, Caprooyl-Phytosphingosine, Caprooyl-Sphingosine, Butylene Glycol, Carbomer, Polysorbate 20, Palmitoyl Tripeptide-1, Palmitoyl Tetrapeptide-7, Squalane, Cetyl Alcohol, Cynara Scolymus (Artichoke) Leaf Extract, Dimethicone, Dimethiconol, PEG-20 Methyl Glucose Sesquistearate, Acetyl Tetrapeptide-2 (Proposed), Caprylyl Glycol, Tromethamine, Oligopeptide-1, Prezatide Copper Acetate, Copper PCA, Saccharide Isomerate, Tocopheryl Acetate (Vitamin E), Methyl Glucose Sesquistearate, Lavandula Angustifolia (Lavender) Oil, Phenoxyethanol, Ethylhexylglycerin, Potassium Sorbate, Tromethamine.